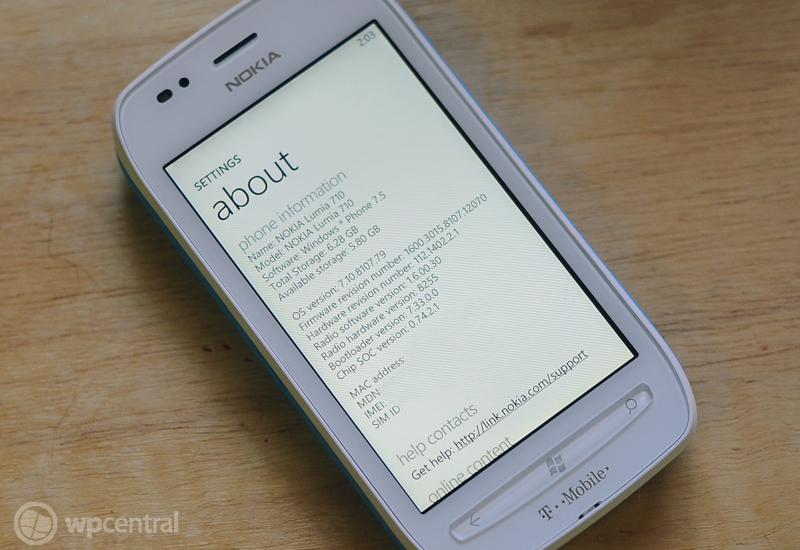 Look what just popped up on Nokia's Care Suite servers. Why it's Windows Phone 7.5 Consumer Release (CR) 3 aka "Tango" for the Nokia Lumia 710 in China. Specifically the ROM build is 1600.3029.8773.12111 where the "8773" denotes the OS version and the "12111" is the firmware build. Windows Phone OS 8773 is the "gold" version of Tango which adds support for 256 MB devices, MMS enhancements and other smaller, under the hood changes. A lot of phones today are sporting Mango CR1 (8107) or Mango CR2 (8112) and AT&T is expected to rollout CR3 (8773+) for its devices in the future. With the addition of this ROM on Nokia's servers it's a safe bet that those with a Lumia 710 in China will be seeing an update notification from Zune Desktop in the next few days. Of course the big question is can you flash this to your Lumia 710 if you're using Nokia Care Suite (much like the 8107 update)? Technically, yes, you can but seeing as this is a ROM for China we're not too sure on what language packs are on board. It's very likely English is there but if you'll be taking a risk as downgrading a ROM can be difficult. We'll keep an ear out if this ROM starts to pushed out to user or if you're a risk-taker, whether you can flash it yourself (and void your warranty).